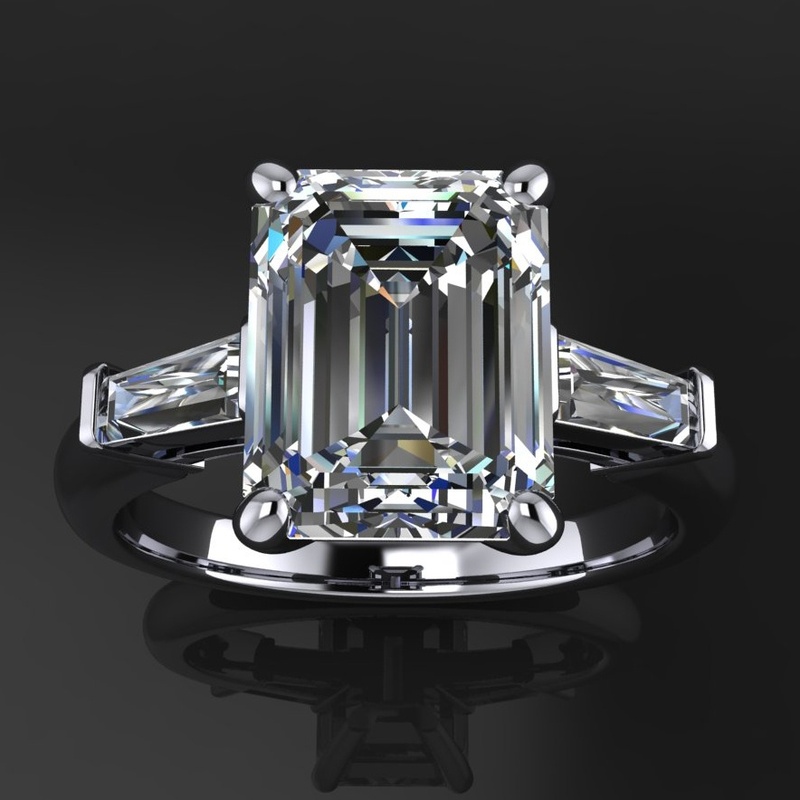 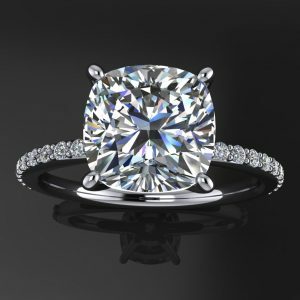 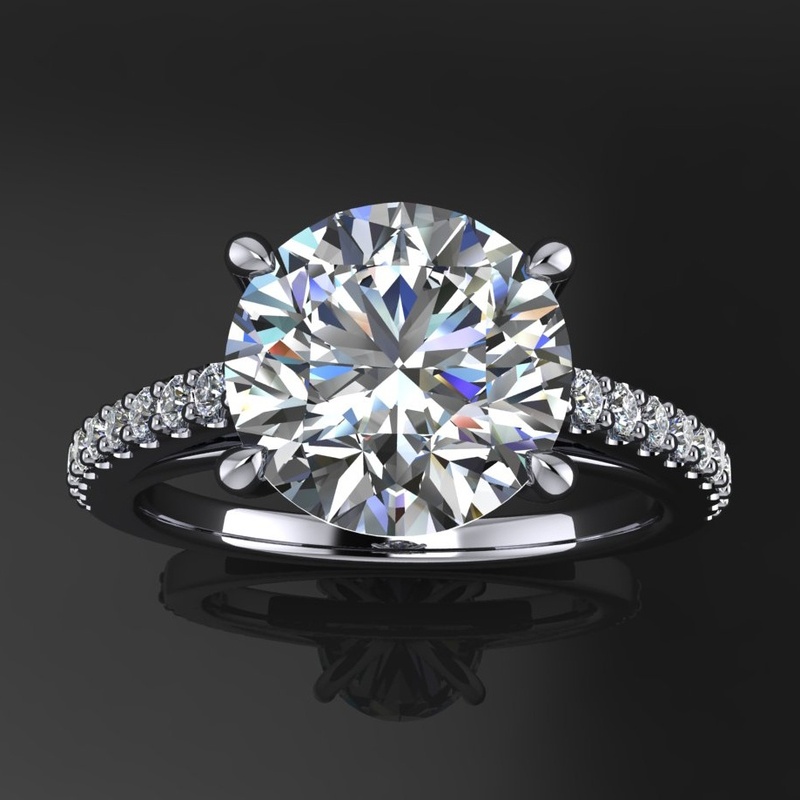 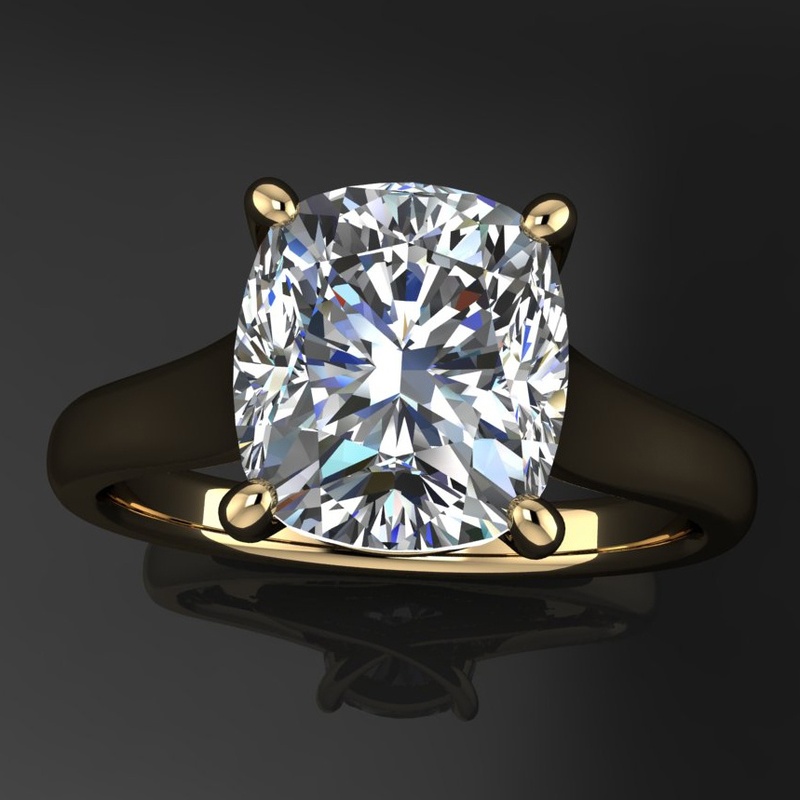 A beautiful 1.1 carat cushion cut Forever One moissanite is hand set in 14k white, yellow or rose gold. 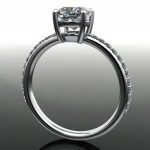 A matching band is shown in the one photo, and can be set with matching diamonds, sapphires or any gem you’d like. 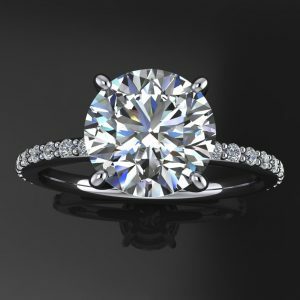 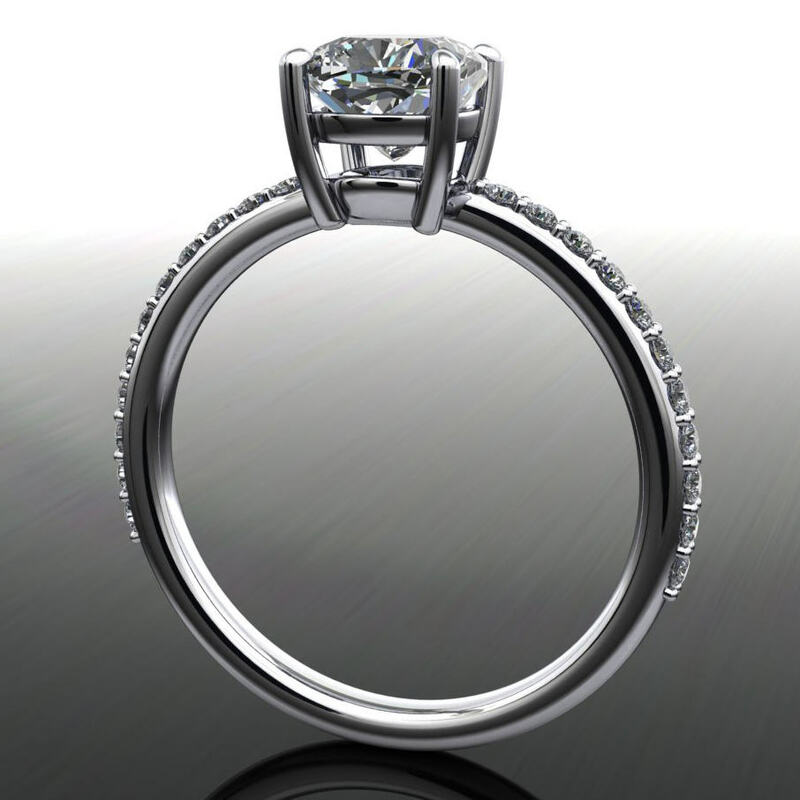 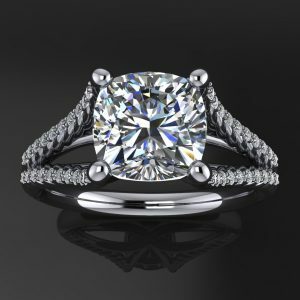 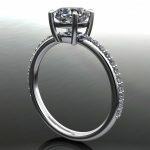 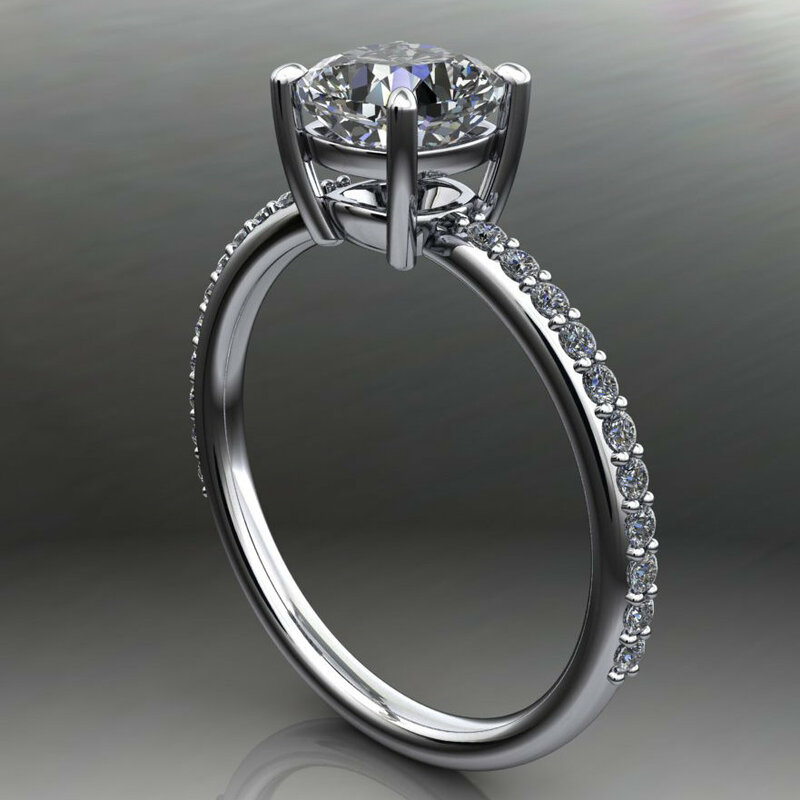 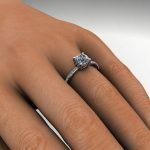 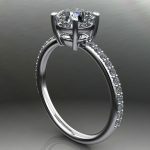 This engagement ring can also be set with other gems. 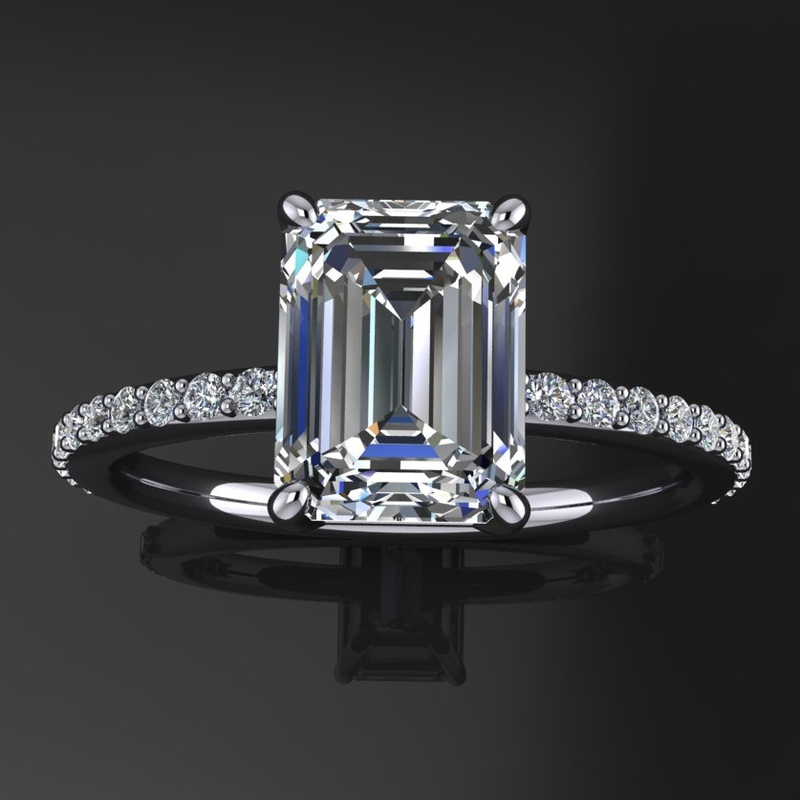 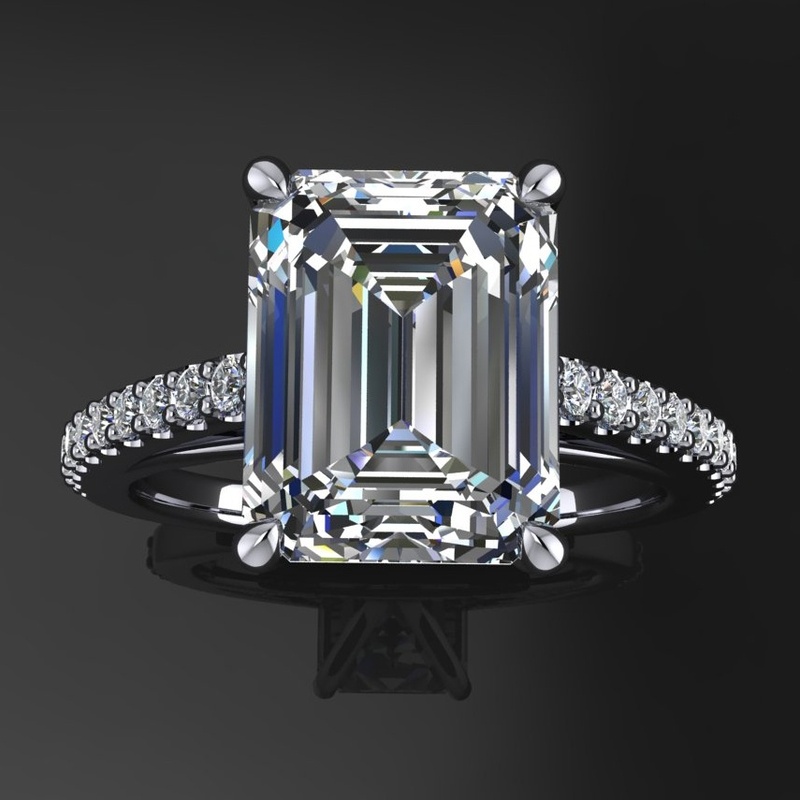 One 6x6mm cushion cut Forever One Moissanite, by Charles & Colvard. 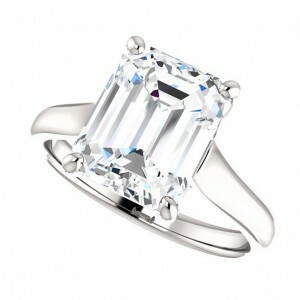 Includes gem certification.